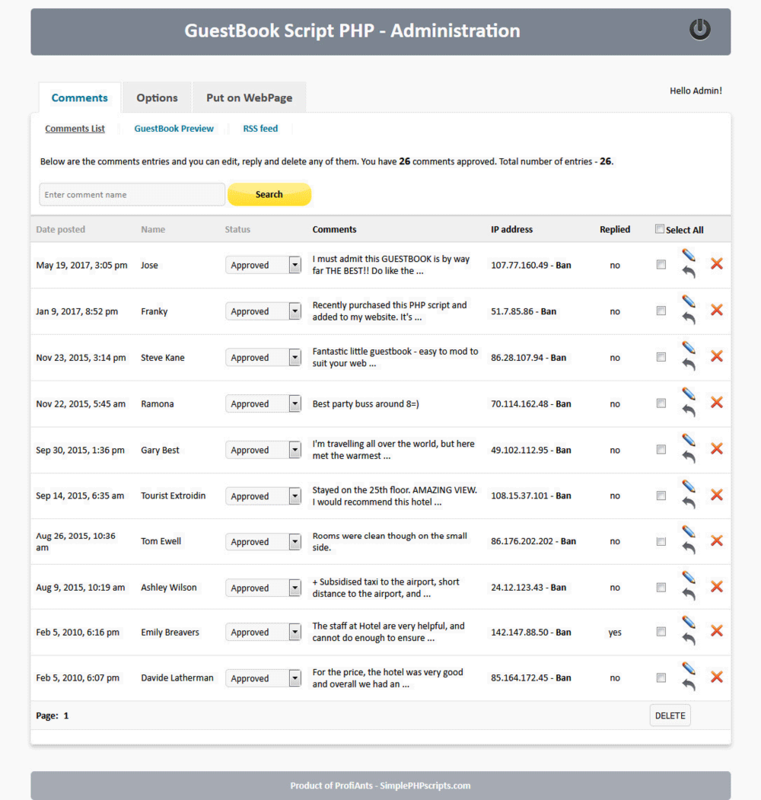 This is the demo of GuestBook Script PHP. 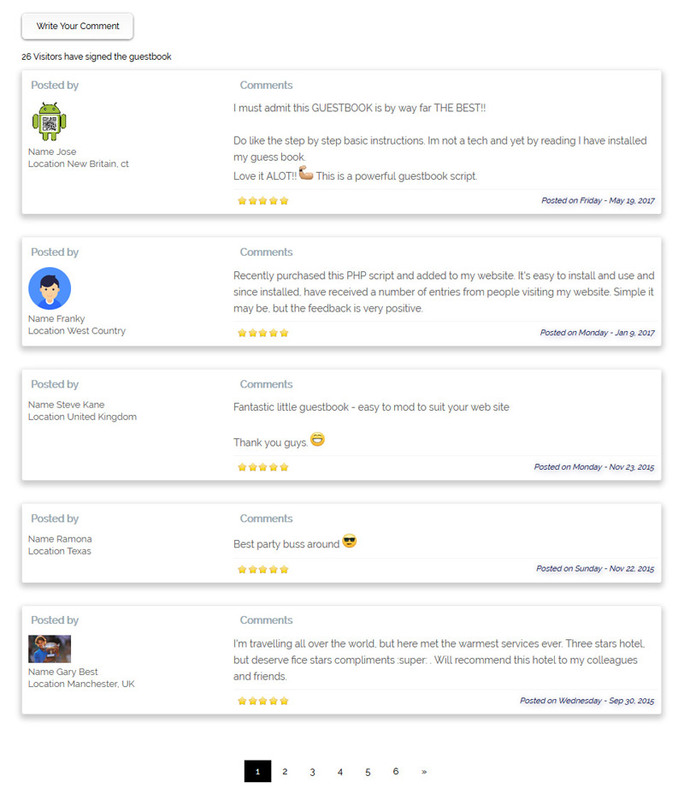 Feel free to post comments or enter admin area and see how to manage comments and options. Note that some of the comments in the guestbook demo are fictitious.